Tsunamis: Detection, Risk Assessment, and Crisis Management is a collection of articles that showcases the diversity of tsunami science. This is truly an interdisciplinary field that brings together seismologists, engineers, social scientists, emergency managers, geologists, and geophysicists, to name a few. 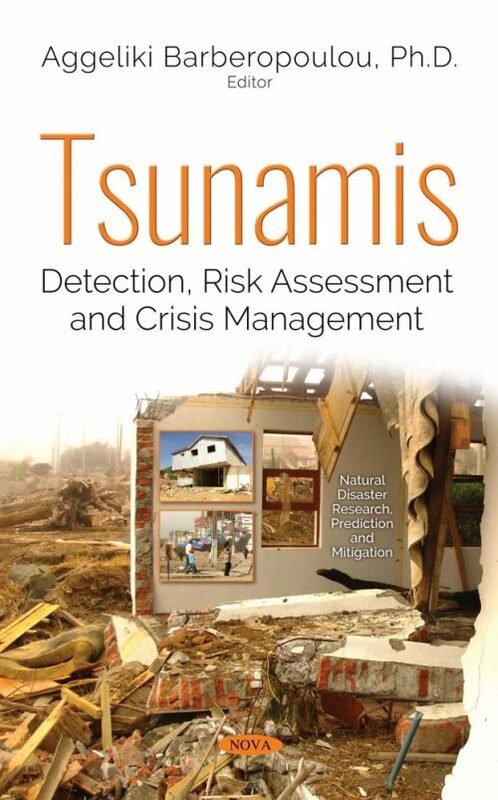 The title reflects this diversity of tsunami research, ranging from understanding the source mechanism, working towards the fast detection of tsunamis in order to take prompt action, and predicting impacts so those affected are better prepared to respond, reduce losses and recover in a reasonable amount of time. The chapters are arranged such that they follow in some virtual way the tsunami from the source to propagation, inundation and impacts on the social, natural or built environment. The book therefore naturally begins with a chapter on the Nankai Trough, a source of great earthquakes and potentially destructive tsunamis. Chapter Two presents a methodology on detecting and identifying tsunamigenic events, followed by Chapter Three, which uses a popular seismological technique to understand tsunami propagation and potential impact on shores. Chapter Four presents an application of tsunami modeling on evacuation planning. Chapters Five and Six look into the impact of tsunamis on structures such as bridges, utilizing valuable data collected after the 2011 Tohoku tsunami in Japan. Chapter Seven is a risk assessment study that predicts the financial cost of a 1960 Chile type of earthquake if it were to happen today. Chapters Eight and Nine look into the social aspect of disasters by interviewing survivors and presenting how geospatial techniques can be used to reveal potential risks in our environment that could potentially hinder the recovery of communities after a disaster. All of the chapters have been written by specialists in their respective fields, representing a vast range of sciences and research that covers nearly the entire globe, stretching from the US to Japan, Taiwan and New Zealand.